- The novel has in one form or another been adapted in a number of versions for television, movies, and others. - The novel was intended to teach Wyss's four sons about family values, good husbandry, the uses of the natural world and self-reliance. - Although movie and TV adaptations typically name the family "Robinson", it is not a Swiss name; the "Robinson" of the title refers to Robinson Crusoe. 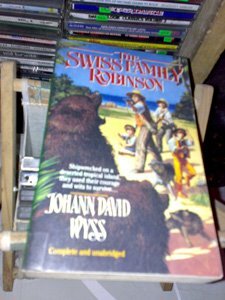 The German name translates as the Swiss Robinson, implying a Swiss version of Robinson Crusoe, rather than a Swiss family named Robinson. - It is said that he was inspired by Defoe's Robinson Crusoe, but wanted to write a story in from which his own children would learn, as the father in the story taught important lessons to his children. - The book was edited by his son, Johann Rudolf Wyss, a scholar who wrote the Swiss national anthem. Another son, Johann Emmanuel Wyss, illustrated the book. 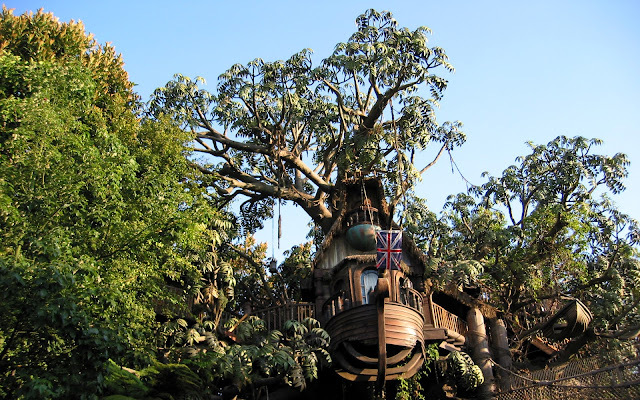 The Swiss Family Robinson follows a close family who have found themselves stranded on a desert island after a shipwreck. The story is told from the point of view of the father. The religious family is made up of their intelligent and resourceful father, a kind and caring mother, and their four sons named Fritz, Ernest, Jack, and Franz. Fritz is the eldest son, 15 years old when the family lands on the island, and he is often tough on his brothers despite his good intentions. Ernest is the second oldest, and he is intelligent and well-formed, though indolent. Jack is the third oldest son, he is bold, but often thoughtless. Last is Franz, the youngest son, nearly 8 years old when the family first is stranded. The father is trying to teach them about nature. The story follows the family's many good fortunes after they survive a shipwreck in a storm. They find themselves stuck on the ship, after being abandoned by their shipmates, but not too far from shore. Luckily, the family discovers many supplies on the ship, including clothing, tools, fish hooks, guns and gun powder, and various useful animals, such as cows, mules, hens, and pigeons. They find even more treasures on the endlessly fruitful island, and continue to prosper and make new and exciting discoveries. There have been many adaptations of the novel with a wide variety of plots, characters, and endings. In the end they are all chiefly characterized by an improbable profusion and variety of animals -- penguins, kangaroos, monkeys, lions, grizzly bears, American buffalo, wild donkeys, iguanas, and even a whale - conveniently gathered together on a tropical island for the purpose of feeding and educating the boys, and instructing the reader.